Carina Fender is the newest trainer to join the Royal Oak Stable’s Training team. 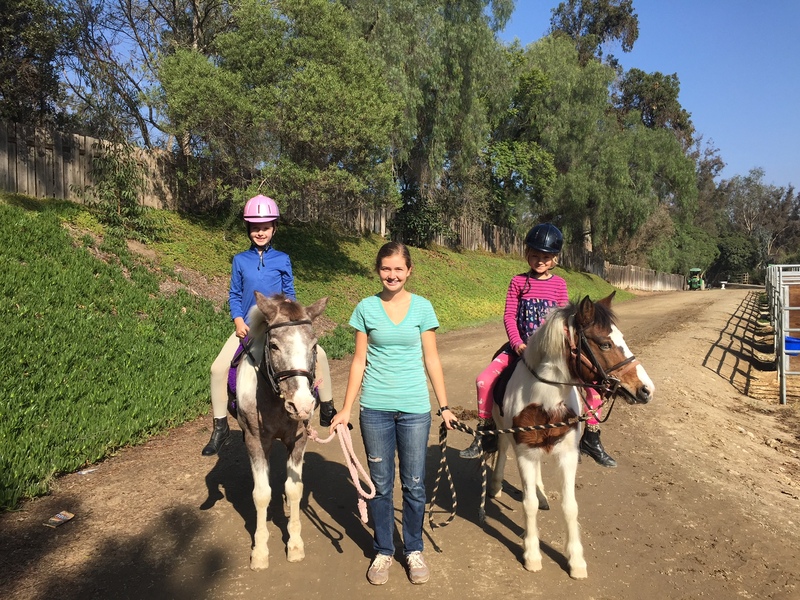 We feel fortunate to have found Carina and are very excited to be a part of her budding career as an Equestrian Professional.Carina started riding family horses at the early age of 3. She was finally able to talk her parents into formal lessons by the age of 7 and her first horse, an Arabian mare, came shortly after that. With patience and determination Carina learned how to handle her very high spirited Arabian. This was the beginning of her journey learning to love, appreciate and successfully work with more sensitive and difficult horses. Carina has always enjoyed the challenge of problem solving, combining that passion with her love of Equines has been a real asset in the horse industry. Carina’s former professional experiences include 3 years as an apprenticing working student at an Equine Rehabilitation facility and Hunter/Jumper barn. Her time spent with the rescue gave Carina experience working with a variety of different horses. Many of the horses there had serious behavioral issues that made them difficult to handle and ride. She learned and developed her techniques to work through each horse’s problems helping them towards a successful life. In 2013, Royal Oak Stables offered Carina an apprenticing job riding and teaching students. She apprenticed and trained alongside our Senior instructors for 18 months eventually earning her right to a Full-time employment offer. Carina is young and energetic in her teaching style which helps get the children to be engaged in each lesson. With her gentle yet firm nature, very keen eye for technique, and solid communication skills she is a wonderful addition to our Royal Oak staff.